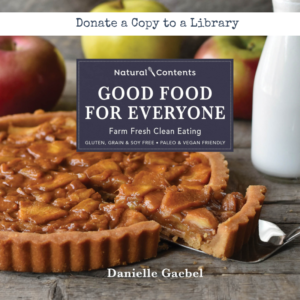 This soft-cover cookbook features beautiful full-color photos and over 80 clean recipes inspired by the local growing season – all gluten, grain and soy free, either paleo or paleo friendly, and many are dairy free or vegan. Anyone who dives in will quickly come to realize, it’s simply about – Good Food for Everyone. As you flip through the 196 pages, take notice of the common thread – farm fresh flair inspired by the local growing season. 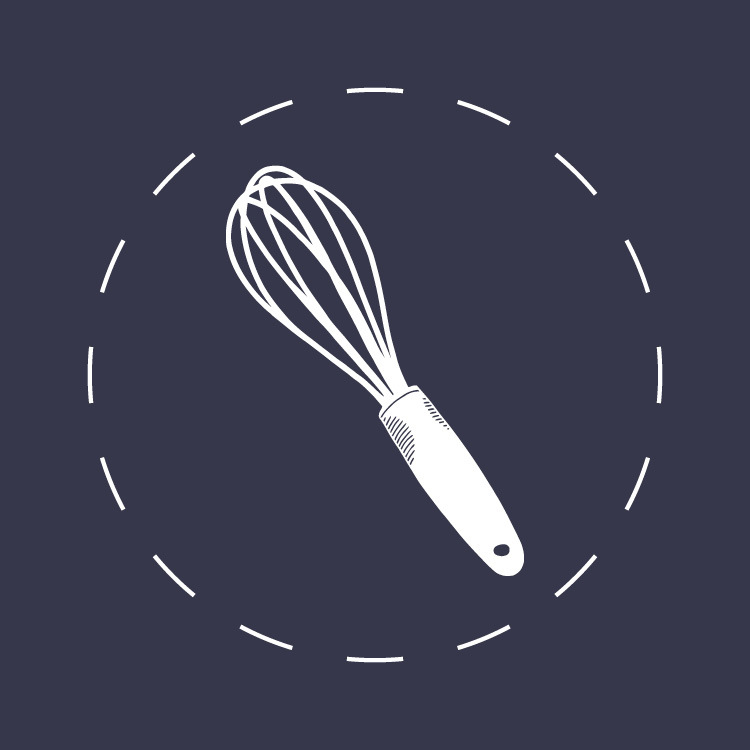 From simple creations like Kale and Onion Frittata and Raspberry Brownies to recipes worth the extra effort like Gnocchi with Garlic Sage Butter or the decedent Sweet Potato Cinnamon Rolls, you’re sure to find an array of creations worth taking a stab at. Sections like Healthy Indulgences and Snack Attack will leave you rushing to the kitchen. 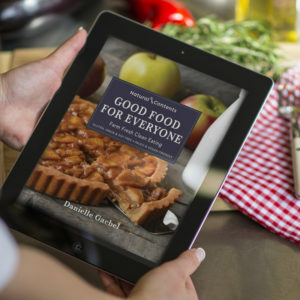 As a special treat, Danielle has released some of her sought after recipes like the Cilantro Cashew Cream, Rosemary Roasted Nuts and the ever special, Chocolate Beet Mini Muffins. 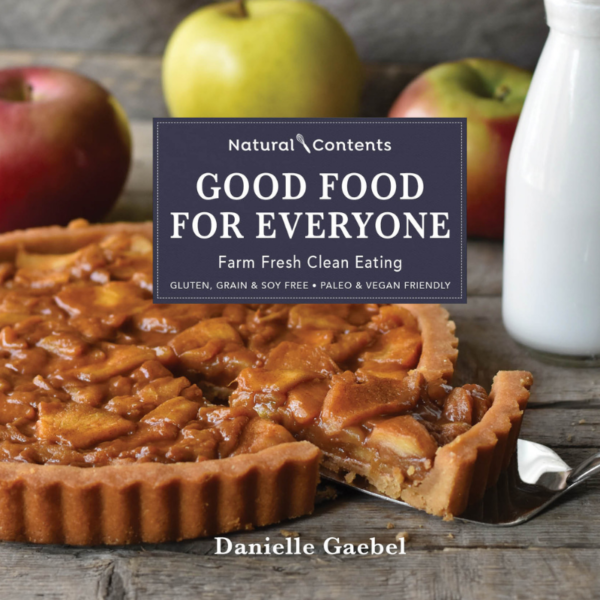 Whether you’re looking to become a more mindful eater – or you already follow a grain free diet, this book will provide a great base to further your journey along.